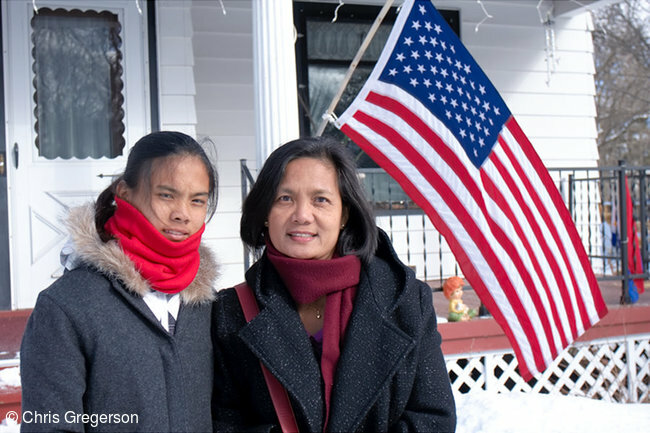 stock photo - Marinette Corpuz and Josie Rahon in New Richmond, WI. This is outside our house in New Richmond, WI. Marinette is with us still, Josie has returned to her family in the Philippines.